It's time to head back to Magdalena in this holiday novella. The town is preparing to celebrate the holidays when a snowstorm hits and threatens to ruin the festivities. But that's not the only threat blowing into town. Pop's son is here from California to enjoy Christmas with his father, but when he leaves, he's taking Pop with him, or is he? Will the town give up the Godfather of Magdalena, or will they show Pop's son that when we open our hearts, anything is possible, even second chances? Mary Campisi is a wonderful writer. Her books make you think about what second chances you need to work on in your life. 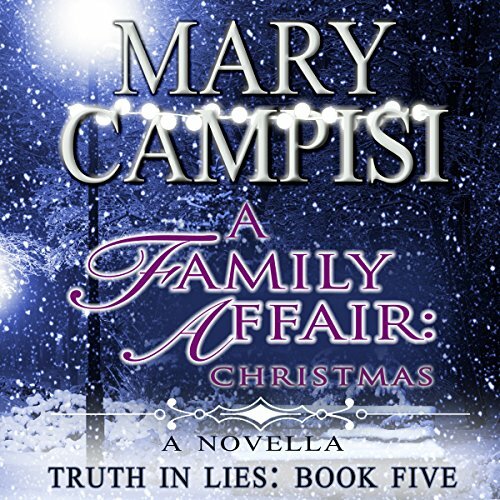 I have enjoyed listening to all of the Mary Campisi books that I have purchased through Audible. Don Warrick has a pleasant voice and easy to follow along with. loving the series, a fantastic read. I was grabbed from the first audiobook and I have not been let down. I am hooked wanting to know what happened to the other members in the town. I did look forward to listening to the other books as I listen to the story while I am at work. I don't have time to sit down and read my books. The only thing that has disappointed me is to catch up with the team I must download a readable book which means that I won't find out how things turn out.